New year, new opportunities to get the family finances under control. Creating and instituting a budget plan reduces financial and emotional stress and gives each family member a chance to identify goals and priorities. Start the year off right by following these 15 steps to setting a budget that works for your family — and sticking to it. The first task is identifying how much money comes in and how much goes out. Record all earnings — net of taxes, 401(k) contributions, and health insurance premiums — on a monthly basis. Then list expenses: fixed (necessary and the same every month), variable (necessary but different every month), and wants (dispensable extras). Divide them into categories, such as utilities, housing payments, food, health care, and personal, and note the associated costs. If you don't know exact figures, start with estimates. Think in terms of planned amounts (lowball predictions of income and rounded-up predictions of expenses). Keep track of actual spending, adjust the estimates, and soon a steady monthly budget will emerge. Henry David Thoreau's famous exhortation from "Walden" about life’s complications applies to budget planning. Some advisers suggest forgoing spreadsheets in favor of old-fashioned pen and paper. Others recommend basic budgeting software, available free from sites such as Mint. The tool is not important; the point is to use whatever mechanism best enables your family to address household finances directly and clearly on a regular basis. Cutting up extra credit cards is another way to simplify. Doing so eliminates the danger of running up debt (and paying exorbitant interest fees) and means fewer accounts to manage. Pay off debts — maybe. Build up savings or pay off debt first? The dilemma plagues many people and engenders debate among financial advisers. There are plenty of reasons to wipe out debt as soon as possible, including stress relief, a better credit score, and improved financial security. And because interest rates paid on debt are higher than those earned on savings, it pays to eliminate debt first. The counterarguments: An emergency fund with three to six months' income should be the top priority, eclipsing debt payoff, at least in the near term. Then, too, additional income might be coming your way — an inheritance, say, or a raise, or anything that means more money to work with. There's no right answer here. Assess the overall situation realistically and strive for balance. Richard Jenkins, former editor-in-chief of MSN Money, developed the "60 percent solution," which splits a budget into five categories: 60 percent for fixed expenses, 10 percent for retirement savings, 10 percent for long-term savings (emergency fund and/or debt repayment), 10 percent for short-term expenses (regular purchases), and 10 percent for fun money. The idea is to reduce stress and excessive deliberation by allocating the same percentage every month to these broad categories. Sticking to a rigid breakdown may help mitigate the possibility of a future financial meltdown. Every budget needs a buffer that's separate and distinct from an emergency fund. An emergency fund is just that — untouched until a major emergency arises. A buffer, by contrast, allows for minor but unforeseen expenses, such as broken eyeglasses, a night out to celebrate a sibling's surprise promotion, or a sudden veterinary bill. Set aside a small amount in the budget every month for the unexpected, and track these incidents. If a pattern emerges, move the expense into a regular budget category. At the end of the month, put unused buffer money into the emergency fund. It's all too easy to forget to feed a savings account. 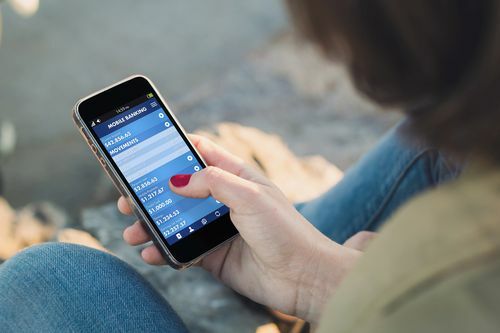 Set up an automatic transfer between checking and savings accounts at certain intervals, or even funneling part of direct deposits into a savings account from the get-go. That way, your all-important emergency fund keeps growing, and you barely have to lift a finger. What do you want out of your money? A financial literacy program at Duke University identifies different types of goals: long term (more than five years), midterm (one to three years), and short term (within the year). The mnemonic "SMART" indicates that each goal should be specific, measurable, achievable, relevant, and time framed. Say you want to take the family to Disneyland in two years. This goal is specific and measurable. At an estimated cost of $4,000, the target is achievable by saving $174 a month for the next 23 months. It's relevant if children will be old enough to enjoy the experience two years hence, the set time frame. The same principles can be applied to other big-ticket buys. Both common sense and research suggest that paying cash makes people more conscious of every dollar spent, which in turn leads to less spending. Some thrifty consumers use envelopes of cash allocated to particular expense categories. Once an envelope is empty, no more purchases of that type until the following month. Use the (virtual) envelope system. Mvelopes is a budgeting system built on virtual envelopes, each designated for specific expenses such as groceries, utilities, and extras. By splitting funds accordingly, the app helps couples stay within their means. The app supports Android and iOS devices and the website offers a free budgeting ebook and financial advice. All adult members of the household should meet regularly — biweekly or once a month — to assess the state of the budget. Review expenses, both planned and actual, and check bank and credit account transactions for fraud and excessive spending. Make sure all bills are paid before their due dates; paying all at one time (if possible) minimizes the chance that something will be overlooked. If billing cycles are helter-skelter, ask providers about changing the schedule so that monthly bills come due at once. Give older children and teens a head start on money management by involving them in budget meetings. They will see adults modeling smart financial behavior and quickly understand the "time equals money" equation. Point out, for instance, that earning $10 an hour babysitting means 12 hours of work to earn a $120 bicycle. They'll also see that earnings must cover necessities, obligations, and savings before "wants" can be satisfied. 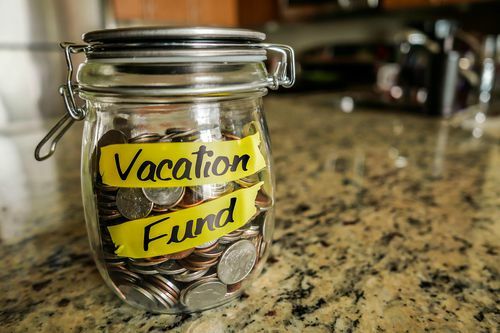 Having a specific long-term goal in mind, be it a vacation or major purchase, can help motivate planning and budgeting. Big dreams also put small purchases into perspective. Even a few dollars a day adds up quickly and keeps moving you farther from that dream of buying a car or house. Get into the habit of asking yourself something like, "Do I want a new shirt today or a trip to Spain next summer?" This can help you identify priorities and budget accordingly. Use tech to winnow recurring charges. These days, it's easier than ever to forget about subscription-based services that drain your accounts each month — perhaps you signed up for a gym you never use, a magazine you never read, or access to a music service you rarely listen to. An app called Trim can cancel subscriptions you no longer need, doing the time-consuming dirty work for you. 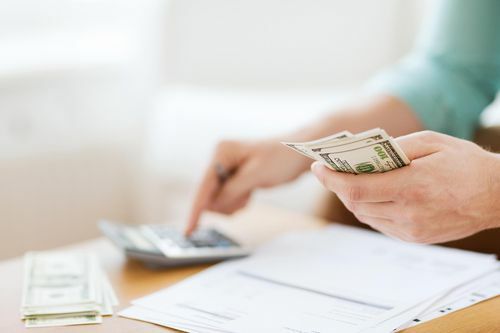 If you and your spouse just can't come to a mutual agreement over money without things getting heated, it may be time to call in a financial coach. After all, a small payment for extra help may save you both thousands of dollars down the road and, critically, keep the peace. Finally, and perhaps most importantly, live within your family's means. That requires more money coming in than going out; the budgeting exercise is all about finding and maintaining a stable financial balance. Ignore the Joneses and cut back on luxuries, eschew debt, and forgo useless stuff — a resolution for the family to live by in the new year.